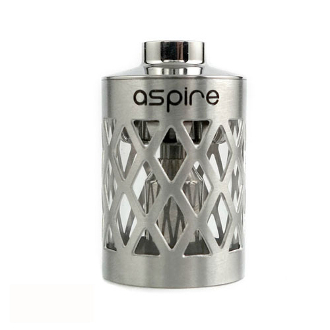 The Aspire Nautilus is a stylish Clearomizer that can have its body piece switched with our Hollowed out sleeve replacement. The hallowed out sleeve has an intricate "vine like" design with steel piping crisscrossing for a beautiful and hauntingly mesmerizing look. This unique pattern stretches across the whole body piece while still allowing the user to see their liquid level inside.